An official from the Department of Homeland Security (DHS) said Wednesday it would be investigating migrant facilities in Mexico for conditions contributing to illness or disease in addition to those in the U.S. following a second child’s death after crossing the border from Mexico to the U.S.
A DHS official told reporters on a conference call that “literally dozens” of sick migrants are being transported to hospitals across the border each day, and the number of children showing illnesses is growing. Homeland Security Secretary Kirstjen Nielsen is expected to visit facilities in Mexico in the coming weeks. 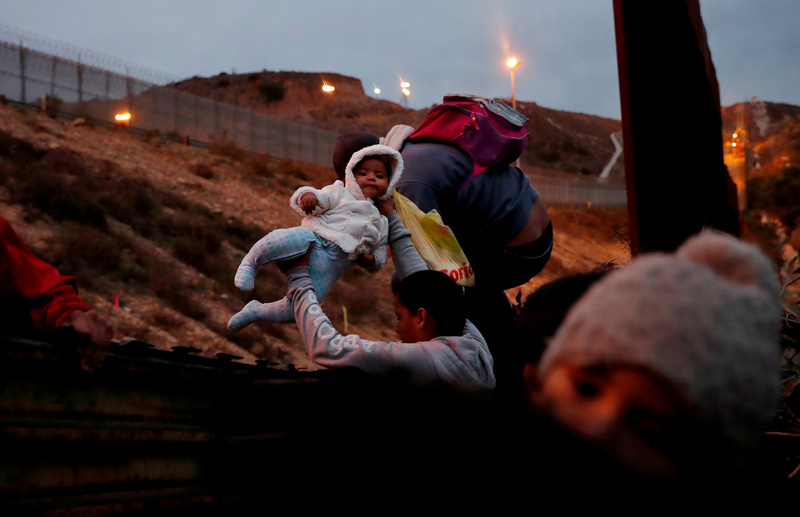 The migrant crisis intensified Tuesday after an 8-year-old Guatemalan migrant boy died after being transferred to a New Mexico hospital following detention in a Customs and Border Protection (CBP) facility. Border Patrol agents noticed the child, identified as Felipe Gomez Alonzo, showing symptoms of illness Monday and “promptly transferred” him to the hospital where he was initially diagnosed with a common cold. Hospital staff also noticed a fever after he was evaluated for release. Later that day, the child was forced to go back to the hospital after he “exhibited nausea and vomiting,” and died hours later. The cause of death remains unknown. CBP decided Tuesday to conduct medical checks on every child who comes through its facilities following these tragic deaths, and is asking for help from other government agencies, including the Department of Health and Human Services (HHS), the Department of Defense (DOD) and the Federal Emergency Management Agency (FEMA) to provide health care and to conduct the health screenings, according to a statement obtained by The Associated Press. The department will emphasize the secondary medical checks on children under the age of 10, a spokesperson told reporters.